I hope you had a wonderful Thanksgiving and are ready to send your children back to school for the final stretch before Christmas. This is a very important time spiritually and academically for the students. It is very important that they are here and ready to learn. Last week, we had our annual school science fair and the students did a great job with their projects. We had a set of excellent judges, five from the University of Kentucky and three parishioners. The judges were very complementary about the students’ projects and had a tough time choosing the winners. The winners will be announced after Mass on Tuesday. Lastly, I would like to thank the St. John Beta Club for their generosity and community service. The students stayed after school last Tuesday to make sandwiches and pack lunches for the Gathering Place. What a great gift of time and generosity during this holiday season! Early donations are accepted starting today, November 12th. Three 65” flat screen televisions that are able to link with the teachers’ computers and DVD players. This equipment enhances the instructional capability of our school, CCD programs, and parish ministries that might use the rooms. Three projectors were also purchased. Our music minister received one for school and church use. Another projector went to our youth group, and the third was used to replace a classroom projector that is used with a smart board. In addition, the school donated a projector to be kept out at Cardome. Lastly, we purchased additional Chromebooks for the classrooms. This year money received will be used to repair the parish/school offices. The repairs include fixing flashing to stop leaks. The money will also be used to do some mortar work and seal the brick. Lastly, the money will be used to repair and paint the walls and ceiling damaged by leaks. SCRIP is gifting that gives back! Find gifts for everyone on your list while raising funds for St. John School with the Holiday gift guide. Shop gift cards from over 750 top brands, including Best Buy, Amazon, Nordstrom ,The Home Depot, and more. Whether you buy gift cards to give as presents to family and friends, or to use them to buy your gifts—our school earns with every gift card purchased. It’s simple, it’s thoughtful and its truly the gift that keeps on giving. Shop the gift guide at ShopWithScrip.com/GiftGuide or look for the Holiday order form in your child’s office folder. IT IS HERE!! Georgetown’s Home for the Holidays Parade is Saturday, December 1st at 6pm. All children who would like to ride the SJS float in the parade, must have a parent partner to walk beside the float. We will meet in the parking lot of St. John School at 5:20pm. Military St. will be closed at 5:30! Cookies and Cocoa in the undercroft afterward. Our float theme is “Silent Night”. Please have your child wear a white, gold, or silver outfit (sequined clothing, in these colors, a plus!) The kids will be “angels”, if they have wings, they may wear them, it is NOT a requirement. Click the sign-up link for more ways to help: http://signup.com/go/UZkLAbe. Contact: Ginny Squires at 502-316-4182, with any questions ! Look for more information and shopping envelopes to be sent home closer to date. Contact Christine Sawalha at 502-316-1345 or christinesawalha@hotmail.com for more information. 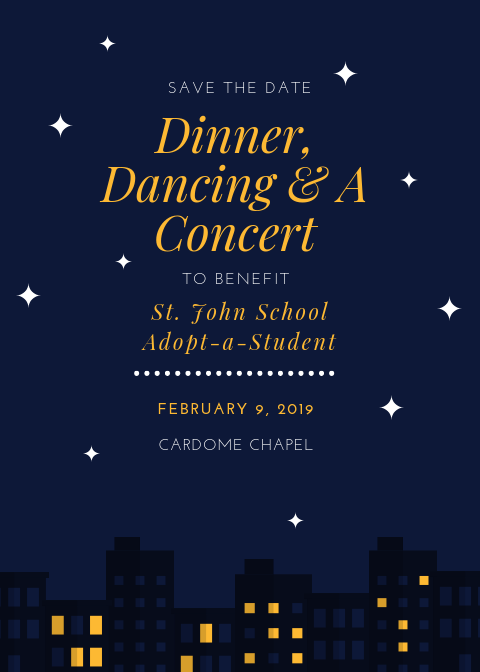 Mark you calendar to support St. John School and Ss. Francis and John Parish on Giving Tuesday! 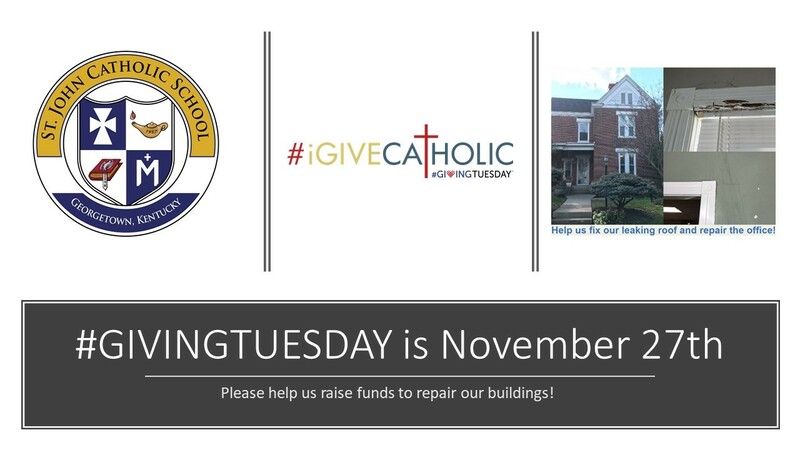 This year we are raising funds to make much needed repairs to the school and parish office and other campus buildings. Please spread the word to your friends and family. 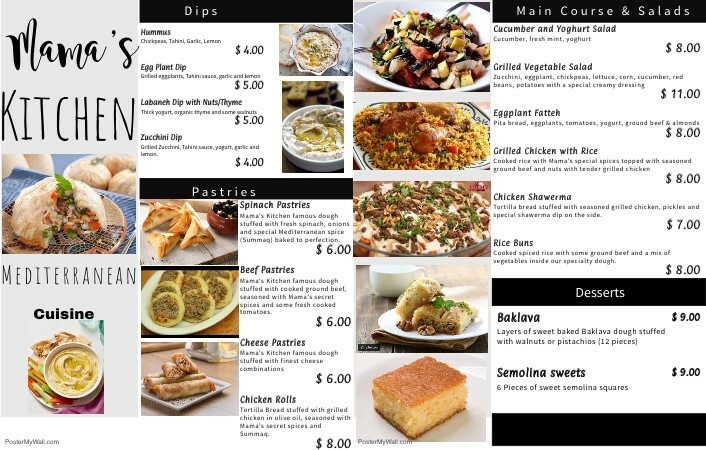 Click here to download the updated lunch menu. Instead of Wow butter sandwiches our school will be offering uncrustables. For the upcoming school year all after school billing will be automatically deducted from your FACTS account unless you have made prior arrangements. Please contact the school office at office@stjohnschoolonline.org with any questions you may have. If you drink coke you can help our school raise money! All you need to do is enter the codes, found under the lid or on the box, at www.coke.com. The easiest way to locate our school is to search ST JOHN, 40324 in the search box. You can also turn your lids and box codes into the school office. If you would like to help enter codes, please email the office at office@stjohnschoolonline.org. 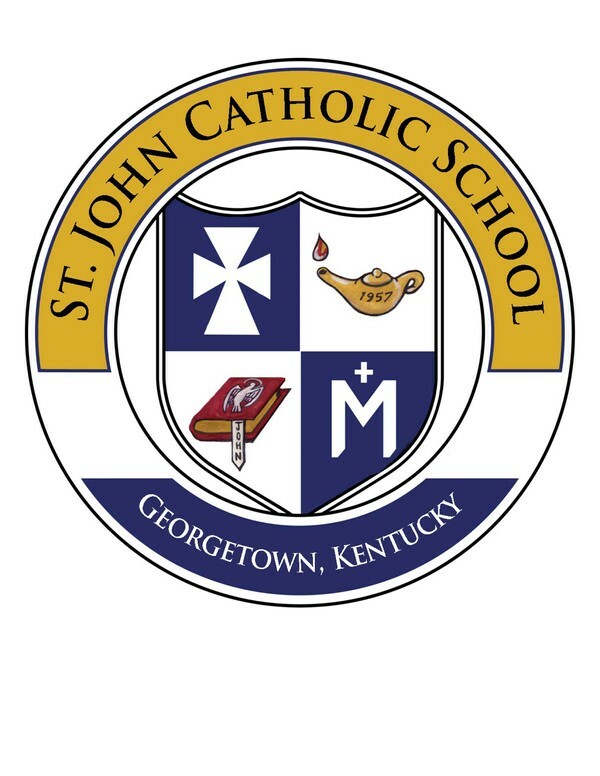 If you would like a St. John School or parish event included in the Notes From the Office, or you have pictures you would like to appear in the Notes, please send your submissions to office@stjohnschoolonline.org no later than Mondays at 9am. Thank you! Click here to view the online version.